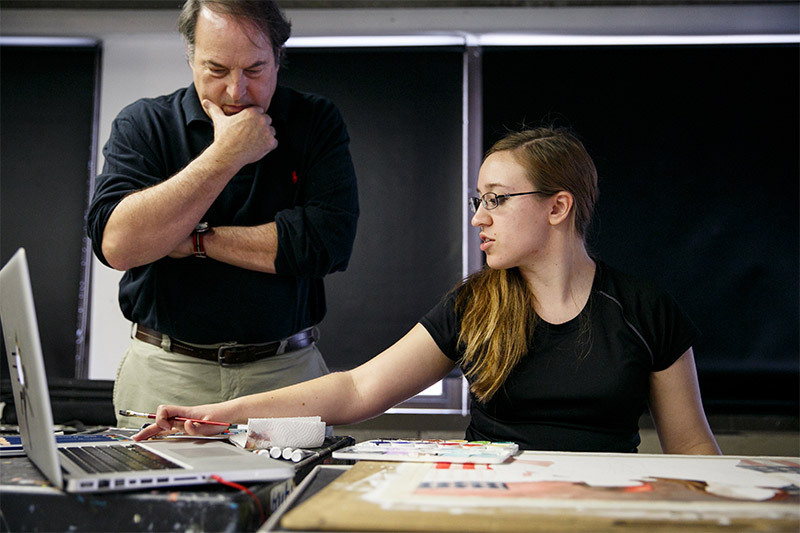 How Do Art Colleges in Pennsylvania Prepare Students for the Workforce? College graduation is a monumental step in the life of every young professional, but your journey doesn’t end there—not by a long shot. After all, you’ve spent 4+ years of your life completing rigorous courses, pulling all-nighters for projects and exams, and honing your craft in order to land that important first job once you’re out on your own. To equip students with the skills needed for the workforce, art colleges must facilitate a culture of accountability and push students to reach out for real-world experience while they’re still attending school. Here’s a fact: 73% of employers don’t feel colleges are adequately preparing their students for the workforce. Visual art students—particularly those who attend a professional college of art and design—have an education that delivers both theory and practice. These career-oriented programs have a dual focus: intellectual development and the acquisition of tangible, high-level technical skill sets. But being well versed in the use of color and composition is just the beginning. Students also need to understand how to effectively work and collaborate in a professional setting, because it’s not just about selling your skills—it’s about selling your self. In recent years, culture has become a coveted commodity, and employers meticulously search for the right fit. As a student, your art college needs to teach you how to market yourself above the thousands of other applicants looking for the same job opportunity as you. Hands-on, industry-specific internships, like the ones required of all Pennsylvania College of Art & Design (PCA&D) students, can play a critical role in understanding the importance of culture in the workplace while developing your talents and establishing a professional network. In addition to internships, take advantage of any art college organizations or memberships specific to your major, as they often supply vital contacts and connections that can jumpstart your career aspirations and planning. What Does PCA&D Do Differently? One of PCA&D’s signature events is our annual 24-hr Designathon, and it’s a tremendous display of teamwork, creativity, and communication. Here, we invite various nonprofits from around the community and task our student teams to tackle the organizations’ needs, whether they’re websites, logos, brochures, or other marketing materials. For 24-hours straight, our students work hand-in-hand with these companies pitching, creating, and collaborating—all while building valuable connections and experience they can leverage after graduating from art college. Many colleges today are starting to shift gears in the way they handle professional preparation, offering added opportunities for students to engage with real businesses and projects, and it’s paramount that students take advantage of them. The top art colleges in Pennsylvania and around the country are increasingly offering programs like PCA&D’s Designathon to give students essential networking connections and workplace skills. It’s these programs and attention to career preparation that makes a world of difference for art college graduates searching to find their place in the professional arena. Like so many students who find their higher-ed home at an art school, you may discover you’ve not only found your direction, but helped others find theirs in the process.